okay, I am sure there might be some value to the content but the delivery is awful. 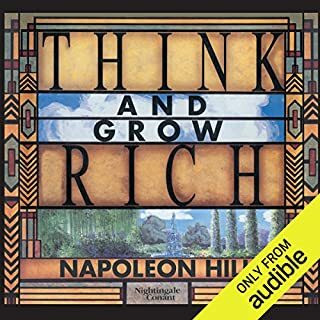 i respect Napoleon Hill's work but I do not recommend this book at all. make sure you listen to the sample before you puchase. This one was definitely not for me. Napoleon Hill interviewed with William Wrigley, Alexander Graham Bell, Andrew Carnegie and 500 others. He shares with you the secrets that helped all of these great leaders rise to the top in their respected industries. 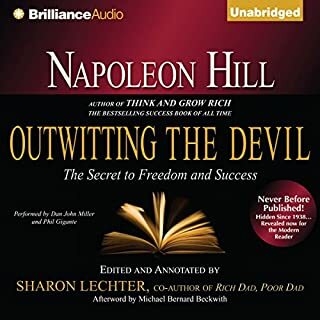 Many of today's top achievers credit Napoleon Hill's work as well as Think and Grow Rich as being the blueprint for their success. The foundation on which ALL other motivation speakers were built. Therefore this book has historical importance and is worth reading/listening. The dated music and old audio portions are enjoyable if you keep in mind that most are relevant today and thus were far ahead of their time. At the very least read/listen to the summary. This expanded edition includes dozens of practical tips and case studies from readers who have doubled their income, overcome common sticking points, and reinvented themselves using the original book. Also included are templates for eliminating email and negotiating with bosses and clients, how to apply lifestyle principles in unpredictable economic times, and the latest tools, tricks, and shortcuts for living like a diplomat or millionaire without being either. A must read for anyone looking to lead a more fulfilling life or a life on their terms. 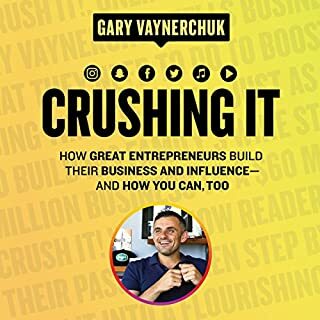 Four-time New York Times best-selling author Gary Vaynerchuk offers new lessons and inspiration drawn from the experiences of dozens of influencers and entrepreneurs who rejected the predictable corporate path in favor of pursuing their dreams by building thriving businesses and extraordinary personal brands. 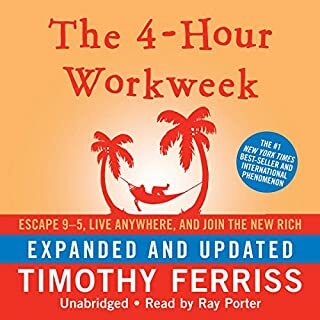 In this lively, practical, and inspiring audiobook, Gary dissects every current major social media platform so that anyone, from a plumber to a professional ice skater, will know exactly how to amplify his or her personal brand on each. Some valuable insights to building an online brand. As Gary admits, his A-type personality can put some people off. No one can argue with his success but a while back I watched a video of his where he said he's looking for videographers willing to work for free in exchange for his mentorship. I get it. People need to be willing to invest time into their education... but it just rubbed me the wrong way at the time. So I will try to be more objective when I listen a second time. However, I do appreciate his honesty and no-nonsense approach to letting everyone know that it takes a tremendous amount of time to build a successful brand online. There are no shortcuts. That is the truth. Why do some people lead happy, successful lives whilst others face repeated failure and sadness? Why do some find their perfect partners whilst others stagger from one broken relationship to the next? What enables some people to have successful careers whilst others find themselves trapped in jobs they detest? 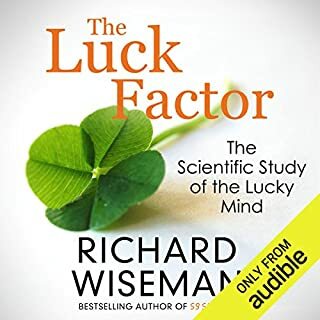 And can unlucky people do anything to improve their luck - and lives? Luck isn't Luck After All? Interesting angle on the power of positive thinking/manifesting your dreams that results in "better luck". Nothing mind-blowing here but still. worth the time to listen. 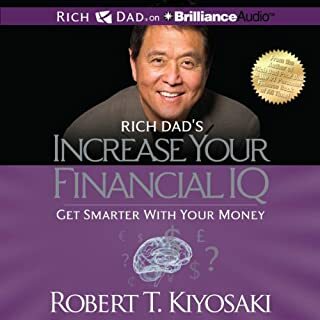 In 1997, Robert’s book Rich Dad, Poor Dad stunned listeners, stating, "Your house is not an asset." As howls of protest went up around the world, the book went on to become an international best seller. Today, we are all aware that a home can be a liability. Today, we all know a home can go up or down in value. Today, we all know a person can lose money investing in the stock market. Today, we all know our money can go down in value and even savers can be losers. This is why your financial intelligence is more important today than ever before. In a world of financial turbulence, your best asset is your financial IQ. Eye opening. i feel to energized and inspired now. My relationship with money has changed and I am going to change my family's blueprint by leading us to the top 1%.